Lot 709. 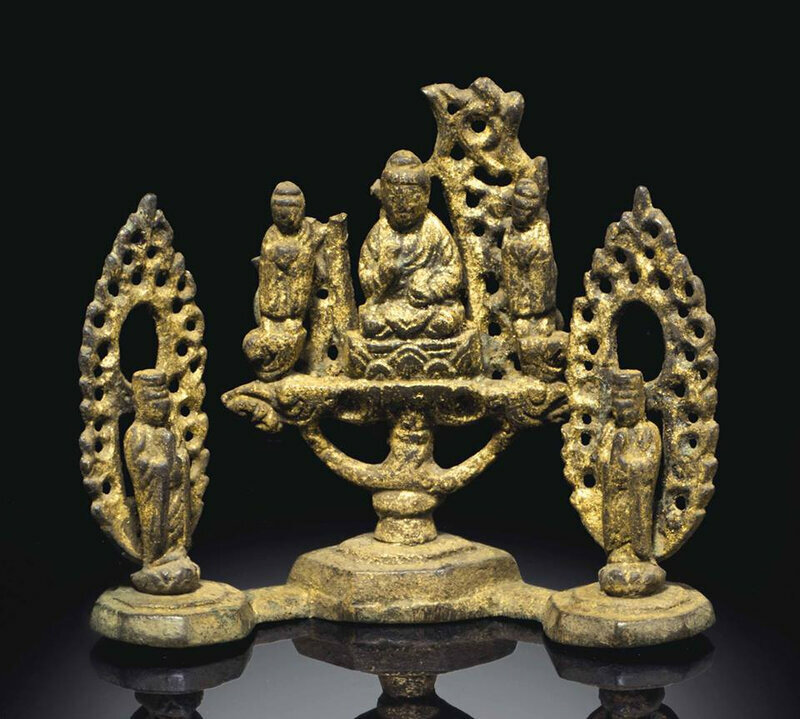 A gilt-bronze seated figure of the ascetic Shakyamuni, Late Ming dynasty, 16th-17th century; 5¾ in. (14.5 cm.) high. Estimate USD 10,000 - USD 15,000. 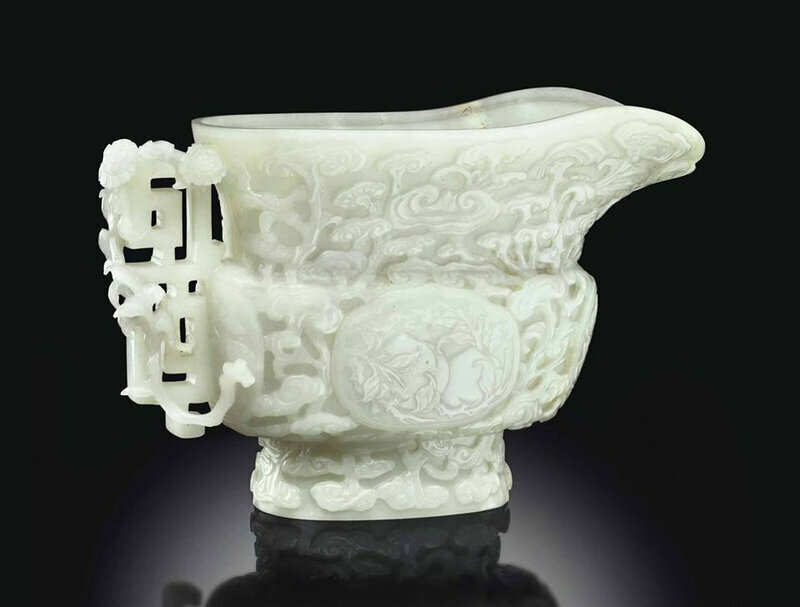 Price realised USD 137,000. © Christie’s Image Ltd 2014. 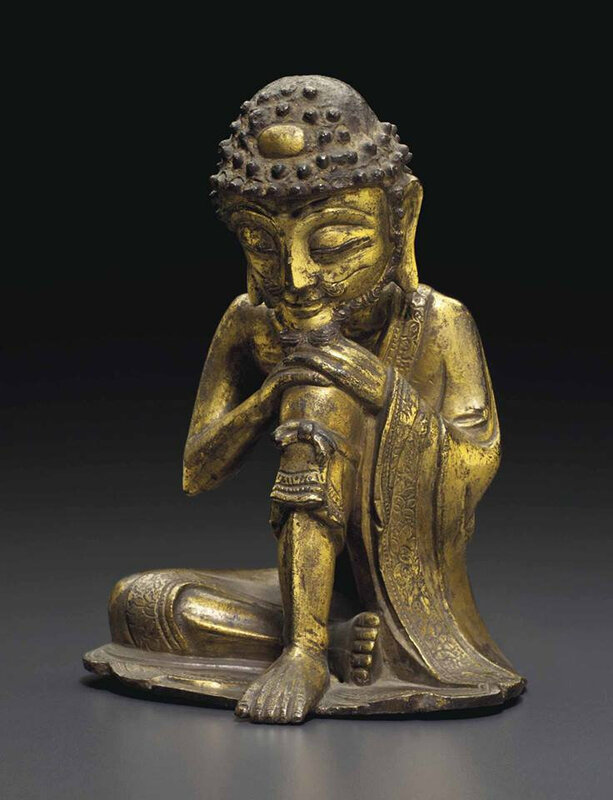 Shakyamuni is shown seated in a pensive attitude, his head lowered and his chin and hands resting atop his bent left knee. He wears a priest's robe that is draped over his left shoulder and diagonally around his torso revealing his thin body and his ribs on the right side. His face is cast with short curly beard, mustache and lowered eyes below the spiky curls that surround his gilded usnisa. Note: This figure is based on earlier Yuan-dynasty representations of Shakyamuni as an ascetic, such as the two larger figures illustrated by Sherman E. Lee and Wai-Kam Ho in Chinese Art Under the Mongols: The Yüan Dynasty (1279-1368), The Cleveland Museum of Art, 1968; no. 18, a gilt-bronze figure (17 3/8 in.) in The Cleveland Museum of Art, and no. 20, a lacquered wood figure (11¾ in.) in The Detroit Institute of Arts.